A Superfund (CERCLA) case involving Grace and other chemical companies which polluted drinking water. Reported as the nation’s most expensive toxic cleanup, with cost well over USD 68 million. Rapid development in the 1950s caused a chronic shortage of drinking water. As populations grew in the city during the 1960's, two new wells were drilled along a industrial area in order to develop additional community water supply. Almost immediately, residents began to complain about the water, suspecting that it was responsible for the occurrence of childhood leukemia and the increase in birth defects. Ten years after the development, an analysis determined those wells were contaminated with trichloroethylene (highly carcinogen) and shut the wells down. Woburn, Massachusetts was the inspiration for the famous book and movie “A Civil Action”, which documents the severe water contamination, subsequent health impacts in the community, and legal battle for restitution. Wells G & H were two municipal groundwater wells developed in 1964 and 1967 to supplement the water supply of the city of Woburn. The extensive contamination of groundwater cited in the engineering study was the result of decades of industrial water pollution. According to a report by the U.S. Environmental Protection Agency, the groundwater was contaminated with industrial solvents, called volatile organic compounds (VOCs), such as trichloroethylene (TCE) and tetrachloroethylene (PCE). Soil on the five properties was contaminated with VOCs, polycyclic aromatic hydrocarbons (PAHs), polychlorinated biphenyls (PCBs) and pesticides. Sediments in the Aberjona River were contaminated with PAHs and heavy metals such as chromium, zinc, mercury and arsenic . In fact, the safety of Woburn's drinking water had long been a contentious issue. Woburn had been home to industry for over 150 years. Tanneries used toxic compounds to cure leather, and other factories sent numerous toxic chemicals down the Aberjona River . In 1973, a three and a half year old boy living in the area was diagnosed with leukemia. He and seven other children died and many became seriously ill before any testing was done or any action was taken, despite residents complaining that the water smelled and tasted bad, and that it corroded the pipes. Furthermore, residents discovered that there were eight cases of leukemia in east Woburn over a 15 year period . This was at a rate four times higher than the national average and the illness was concentrated among families that had drawn most heavily from the two polluted wells . In 1979, several barrels of chemicals were found dumped near the Aberjona River and when state investigators tested Wells G and H, they found that they were contaminated with TCE and other industrial byproducts. The wells were immediately shut down and in 1982 the Wells G & H Superfund Site was placed on the National Priority List to receive federal money for cleanup . At the same time, a formal complaint against W.R. Grace, Beatrice Foods (formerly Riley Tannery), and UniFirst was filed by several plaintiffs through Jan Schlichtmann, an inexperienced lawyer. The defendants denied that they had caused the pollution of the wells . W.R. Grace and Beatrice Foods were both huge corporations that owned the property where the pollution occurred. They also had very experienced and well-financed lawyers. During the trial, one of the defendants consistently perjured itself; the defense attorneys hid critical evidence of a secret clean-up of contaminated soil that would have strengthened Schlichtmann’s argument; and the case was assigned to an allegedly biased judge who apparently hated Schlichtmann and was friends with the leading defense attorney. To make it all worse, the jury agreed that there was not a “preponderance of evidence” that Beatrice Foods had polluted the wells and that only Grace was found responsible. The judge, however, threw out the verdict against Grace on the grounds that the jury’s written decision was confusing and contradictory. Schlichtmann settled with Grace for $8,000,000, providing the victims’ families with several hundred thousand dollars each, but no admission of guilt, no apology, and no clean up . Even though Schlichtmann had to settle out of court, the Center for Disease Control and the U.S. Environmental Protection Agency took notice. 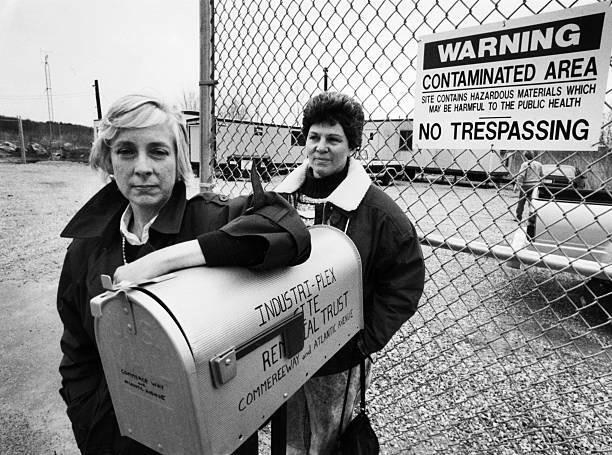 Declared a Superfund Site (under the CERCLA legislation), the EPA forced Grace and Beatrice as the owners of the property to pay for the nation’s most expensive toxic cleanup, with cost well over $68 million USD . More than 30 years after the landmark court case, the wells that supplied toxic drinking water and a legacy of cancer to Woburn remain contaminated despite decades of cleanup efforts. As of 2011, W.R. Grace ranks as the second biggest polluter in Massachusetts . One reporter summed up the lesson that can be learned from this case: “The ugly truth is that the damage we do today will take a long time to fix” . Project Details The wells supplied 30 percent of the city's drinking water. Five properties within the approximate 330 acres of the site were found to be contaminated. This became a famous and costly Superfund (CERCLA) case. - In the last six years of operation, 53 pounds of total VOCs have been destroyed in 20 million gallons of water. - In the six years of operation, 1307 pounds of total VOCs have been destroyed in 135 million gallons of groundwater. - Beatrice removed 67 tons of hazardous sludge, 354 tons of non-hazardous sludge, 255 tons of debris soils, 45 drum carcasses, and 987 tons of mixed-contaminant soils from the Wildwood property. Both Grace and Beatrice are paying for the largest and most expensive toxic cleanup in U.S. history, with costs already topping $68,000,000. Relevant government actors U.S. EPA, Center for Disease Control. Other Ingestion of contaminated water (type of contaminants varies widely but they are all industrial) resulting in numerous sick children and adults as well as deaths, primarily from cancer. Specific impact on children. Development of Alternatives Wells G and H were shut down but cleanup will be ongoing for another 20 years. Why? Explain briefly. Despite the settlement out of court, victims' families did not get proper compensation for the deaths of their loved ones. No apology was ever made to the community impacted by the contaminated drinking water. Even prior to the drilling of the wells, the City was warned by an engineering study that the water was contaminated and the City moved forward with the development anyway. Notice of Liability to the W.R. Grace Co., Inc. for their property located at 369 Washington Street, Woburn, MA., hereinafter referred to as "the facility". Woburn: A Legacy of Waste, The Lawsuit. Boston University School of Public Health. Aug 25, 2014. The Ugly Truth: Mass. Superfund Sites Still Toxic Nearly 30 Years And More Than $1B Later. WBUR News. May 22, 2011. The Bay State's toxic legacy. The Center for Public Integrity. May 24, 2011. Cancer Incidence and Environmental Hazards 1969 – 1978 The Massachusetts Department of Public Health (MDPH), with assistance from the U.S. Center for Disease Control (CDC), has completed an investigation of possible associations between the incidence of certain cancers and environmental hazards in Woburn for the period 1969 – 1978.